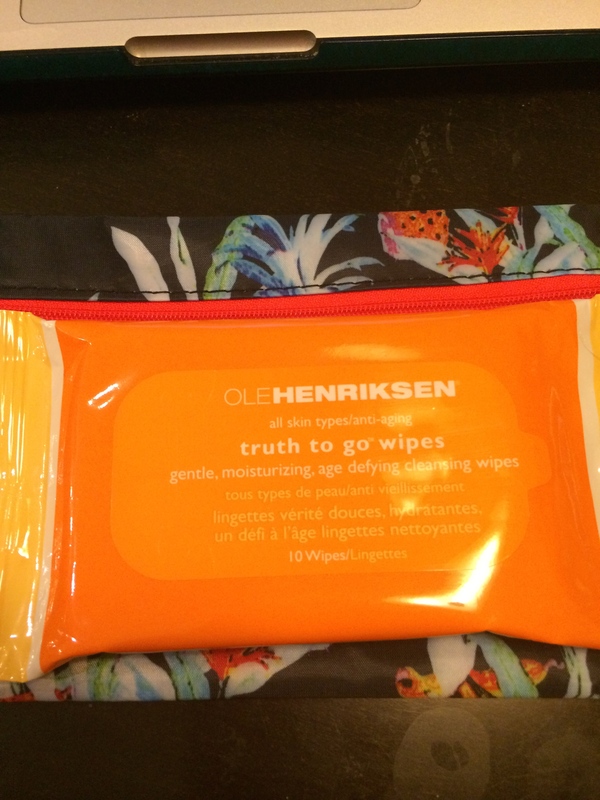 Ole Henriksen Truth To Go Wipes. Cleansing wipes in a travel pack. Awesome! NYX Butter Gloss in Elclair. 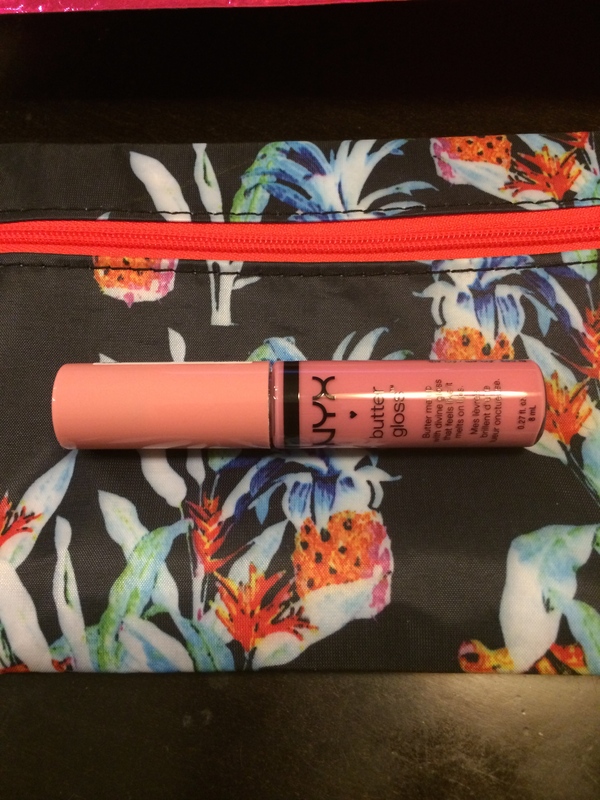 Pretty shade and everyone online raves about the butter gloss. Marc Anthony (wonder if it’s the same Marc Anthony/ JLo’s ex?) 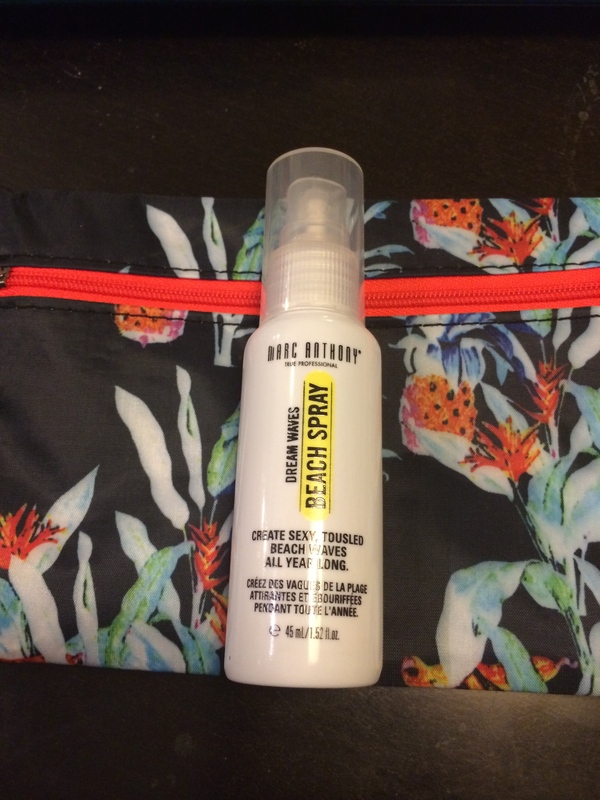 Dream Waves Beach Spray. OMG! this stuff smells like summer in a bottle! Can’t wait to try it. Yes, even short haired girls can have beachy waves! 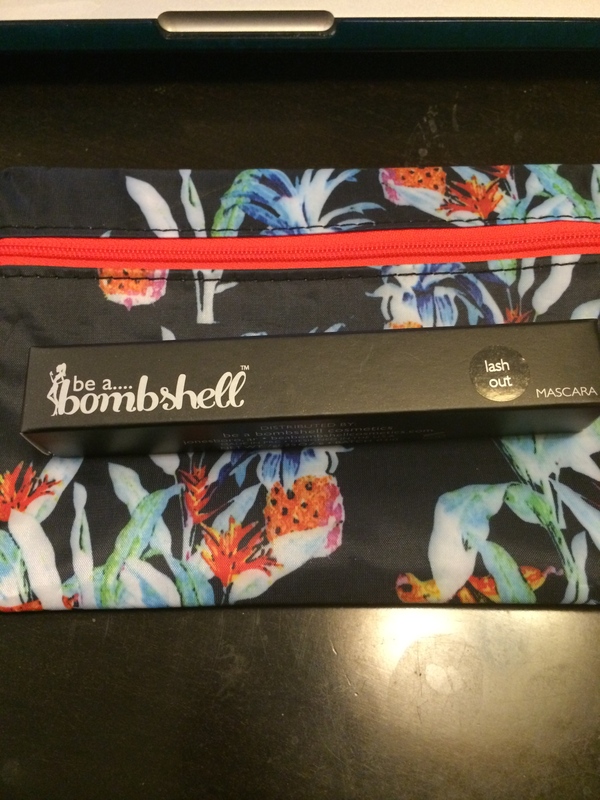 Be a Bombshell Lash Out Mascara in Black. Good looking brush in a full sized bottle. Only thing is it has an odd smell. Wonder if that will go away? 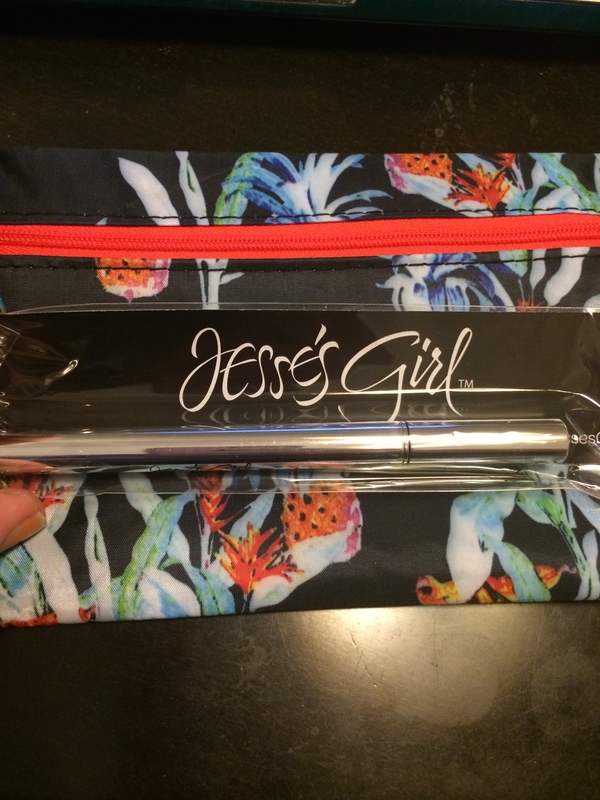 Jessie’s Girl Liquid Eyeliner in Black. I was especially excited to try this so I opened it to check out the applicator. Eye liner juice went EVERYWHERE. I cleaned it up and stored the eyeliner upright for a day. Went back to use it and it just poured out the applicator all over my eye and right into my eye! My eye white turned black! It was awful. So I won’t be able to use this. Sigh. 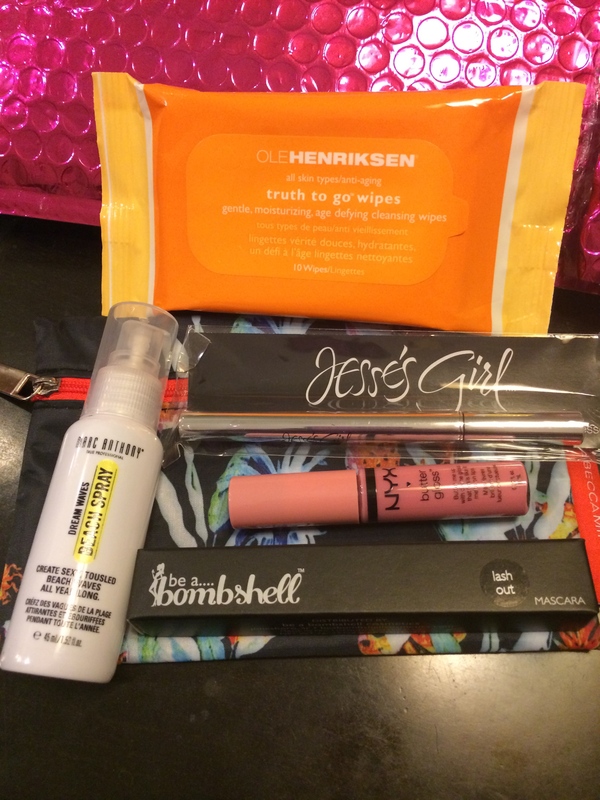 Over all though it was a good Glam Bag!